A few months back I excitedly reported that Anne Rice’s influential vampire novel, Interview with the Vampire, is being adapted into a graphic novel. What made this news so fantastic is that while the graphic novel will tell the story we fans know and love, it’s going to be told from Claudia’s point of view instead of Louis’. Ever since I heard of Interview with the Vampire: Claudia’s Story I have been dying for more information, and at long last I’ve got two things – a release date and a cover! 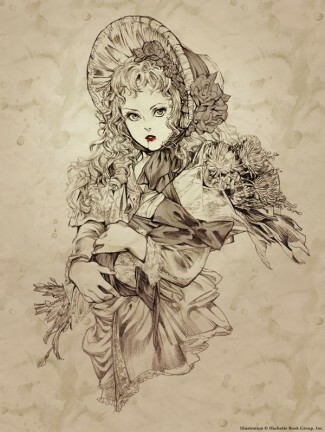 Illustrated by newcomer Ashley Marie Witter, Interview with the Vampire: Claudia’s Story will be published as a single volume November 20, 2012. Yes, it’s a long wait, but after hearing Anne Rice’s praise for the upcoming graphic novel, it’s totally worth it. I can’t wait for this graphic novel! Claudia’s Story sounds and looks absolutely amazing! I am excited to read Claudia’s point of view and to see Witter’s stunning artwork. 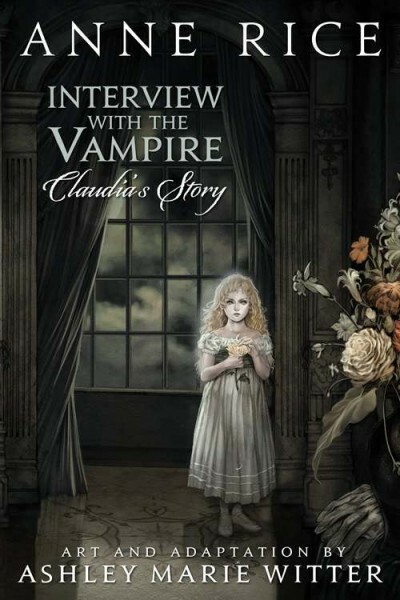 You can pre-order Interview with the Vampire: Claudia’s Story HERE on Amazon. What do you think of this upcoming graphic novel? Are you looking forward to reading Claudia’s side of the story? What are your thoughts on the artwork so far? Enough with the Twilight vs. Hunger Games Nonsense! I love the character of Claudia. She actually inspired the character, Angeline in my books, The Vampire Origins. Two major differences between Angeline and Claudia though – Angeline was born a vampire so she will eventually age. It just takes several hundred years. And because Angeline has never been human, she has none of the redeeming graces of humanity. Beautiful artwork, and the Claudia POV has me very intrigued! Those of us whose vampire characters age with time do miss out on the angst of a character such as Claudia, trapped in a child’s body for the rest of their existence. I`m looking forward for the release of this promising adaptation too. So far, everything looks wonderful, so i´ve already pre-ordered it on amazon. I´m totally sure that if the project has the aprobation and collaboration of madame Rice, it will totally exceed our expectations!